Looking for a way to experience Android on your PC? Maybe you want to play games, test out an app or just run Android for the heck of it? It’s now possible, thanks to the top Android emulators. Plus, you’ll be able to use a mouse and a keyboard and take advantage of the faster hardware. Bluestacks is arguably the most popular Android emulator out there. The beauty of this emulator is that it works across low and high-end PCs, and whether you’re using a Mac or a Windows computer. Bluestacks mostly caters to gamers who want to play Android games without lag and without having to deal with a “battery low” message. Bluestacks 3 is the latest build and has been in operation since 2017. There are still some issues with the emulator but it gets the job done quite well. Some notable features include running multiple programs, playing multiple games and having keyboard and mouse support. Keymapping is also available for all compatible games. The newest Bluestack emulators now have the Oreo Android OS. AMIDuOS places a close second in the top Android emulators list. It’s a fairly new emulator that’s fully compatible on the Windows 10 platform. AMIDuOS can come in Jellybean or Lollipop, and at a $10 and $15 price tag, respectively. Multiple games can be run and multiple apps as well. AMIDuOS is more of the productivity type than gaming. No doubt it will perform well as part of business or office work or some social media tasks. Droid4X gains the distinction of being in this list because it’s intuitive and very easy to use. The GUI is clean, sleek and you’ll know instinctively where the apps and the settings are after a few seconds. 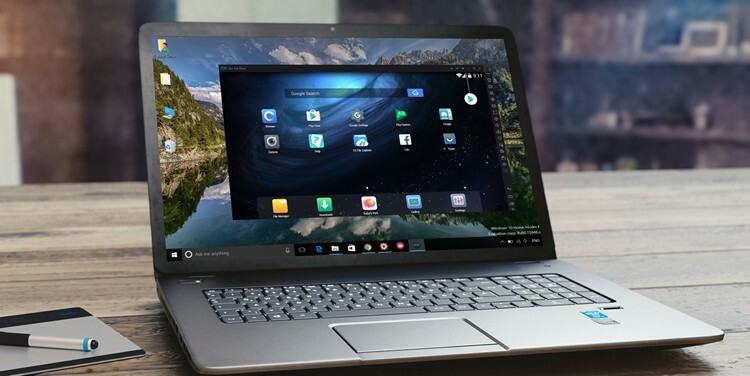 Users are saying that it’s the best Android emulator for low-end machines, with support for both Mac and Windows OS. What’s more, running Droid4X is a snap and you won’t experience as much bugs and glitches as any emulator. Last but not the least, we have the YouWave. The emulator has been in the scene for quite some time, and as such it has a deep support group and a community. YouWave is great for light gaming and if you need to do one-time things on older Android versions. The emulator can run on both Windows and Mac computers.